Brazil is a world leader when it comes to renewable energy: some 45% of the South American nation’s total energy supply is produced using renewable resources, and it has yet to get serious about developing its wind power resources. That compares to 7% for the US. 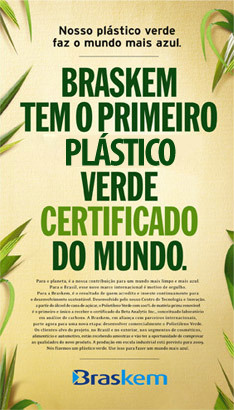 Brazil is also a leader in what promises to be a huge industry and global market that would have an equally profound, widespread and positive impact when it comes to reducing our dependence on fossil fuels and reducing carbon dioxide and greenhouse gas emissions, not to mention air, water and land pollution from human waste products more broadly speaking–bioplastics. Just as organic chemists and the companies they worked for started tinkering with oil and natural gas to develop the myriad plastic products we use today in the wake of huge increases in supply of those fossil fuels, Brazilian companies have been busy developing recyclable bioplastics using sugar cane ethanol. 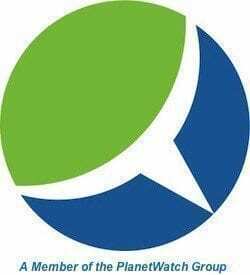 “Annual plastics consumption worldwide has increased twenty-fold since the 1950s, reaching around 150 million tons. It has been estimated that producing 1 kg of the most common plastics requires the equivalent of 2 kg of petroleum for energy and raw material, and releases approximately 6 kg of carbon dioxide,” according to an April 20 [email protected] article. There are plenty of issues and problems yet to be completely resolved, but Brazilian companies have been at the forefront of this wave of “green” change in major industries and businesses. “‘It really is about carbon emissions,’ and plastics produced from renewable sources have a net positive carbon footprint,” Dow Chemical senior value chain manager Jeffrey Wooster was quoted as saying. There are “green” recyclable plastics, and there are “green” biodegradable plastics. Generally speaking, recyclable bioplastics come out ahead in sustainability analyses. That’s because biodegradable plastics emit methane–a much more potent greenhouse gas than CO2–as they decay in landfills. The results of such analyses for biodegradable bioplastics would improve significantly if it was feasible to capture the methane and use it to generate electricity or burn it as a fuel or for space or water heating. Renewable bioplastics can be recycled, thereby avoiding methane emissions that result from decay, according to Braskem, in contrast to polylactic acid, the most common biodegradable plastic produced from corn-based ethanol. “Non-biodegradable bioplastics can be incinerated together with other urban waste to generate electricity or other types of energy,” according to the article.